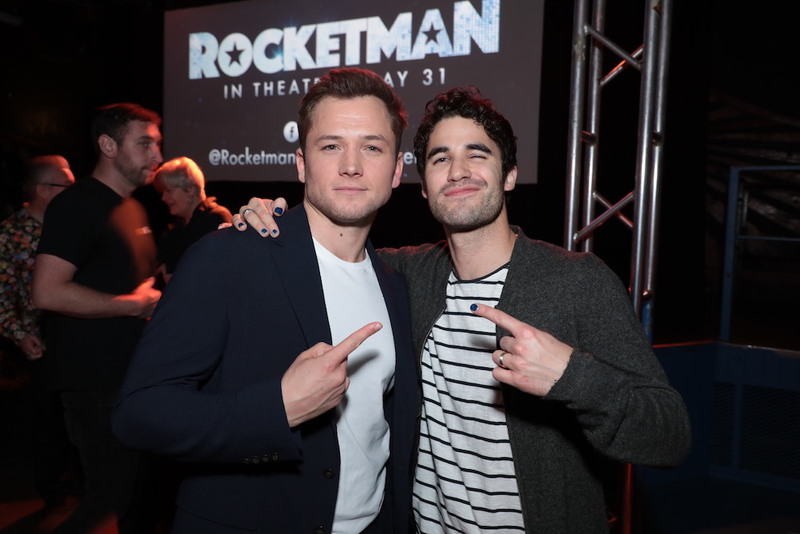 Elton John Movie Rocketman Was Previewed by Its Cast in L.A. 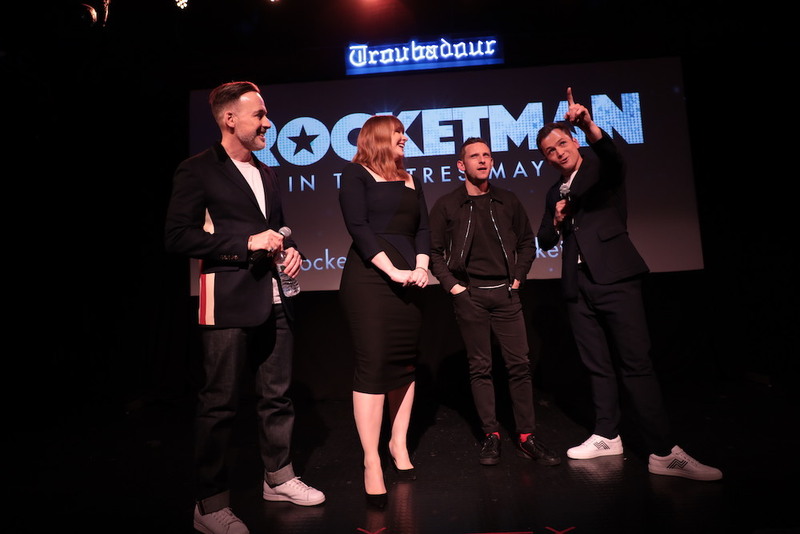 The film doesn’t hit theaters until May 31, but the Elton John movie Rocketman offered the L.A. glitterati (and press) its very first public preview last night. Luring a crowd with hors d’oeuvres and a 15-minute supercut of the unfinished film, people packed The Troubadour, a world-famous local concert venue that also happens to be the spot where Elton John first performed in America, all the way back in July 1970. 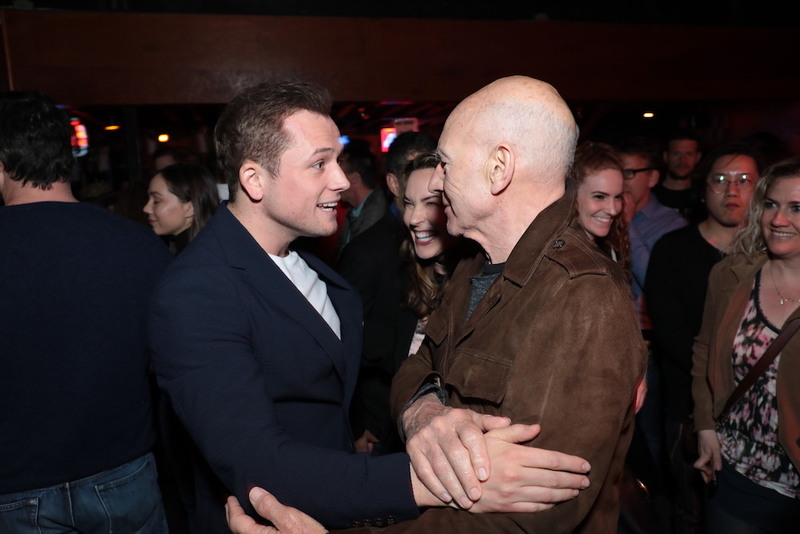 Celebs as wide-ranging as award-winning songwriter Dianne Warren and The Assassination of Gianni Versace star Darren Criss were in attendance, along with pop songstress Betty Who, beloved actor Patrick Stewart, Kelly Osbourne and Elton John’s own husband, David Furnish, who is also a producer of Rocketman. Before screening footage from the Elton John movie, Furnish and the film’s cast stepped onstage to offer a few words. 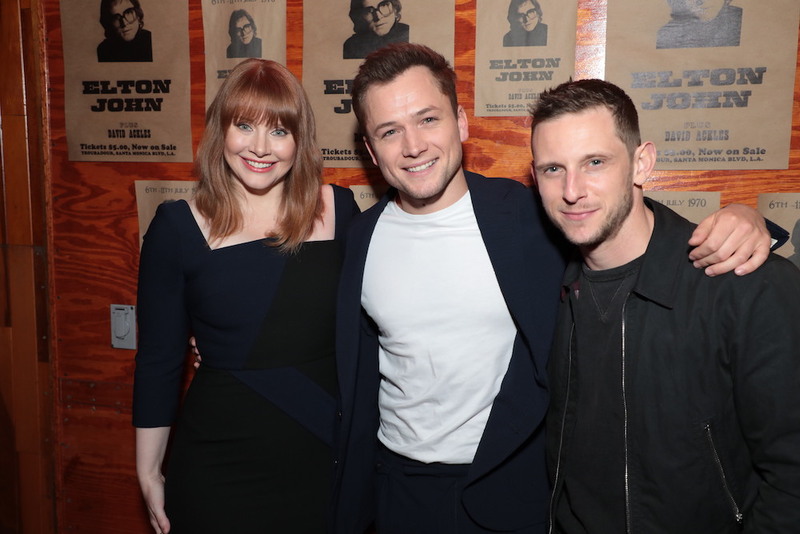 In attendance were Bryce Dallas Howard, who plays John’s mother; Jamie Bell, who plays John’s longtime collaborator and lyricist Bernie Taupin; and Taron Egerton, who plays Elton John and offers all of the film’s original vocals. 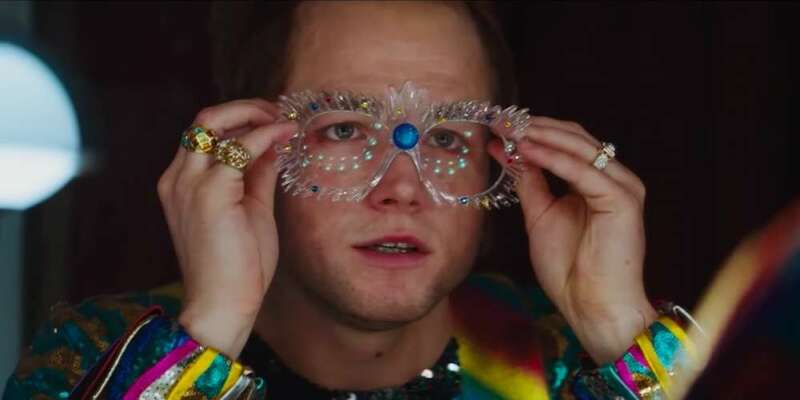 From last night’s preview of the upcoming Elton John biopic #rocketmanmovie. Taron Egerton reads a letter by director Dexter Fletcher. The crowd seemed enamored by the footage of the Elton John movie they were treated to. The supercut was a mashup of the film’s early scenes and later scenes, but centered mostly around the period in which Elton John first plays The Troubadour on a Monday night in 1970, to which the preview party itself was a nod. The film, which tackles Elton John’s (born Reginald Dwight) family troubles as a boy, his prodigious piano skills from a young age, coming to terms with his sexuality, drug addiction and — naturally — his rise to become one of the world’s most infamous international superstars, is sure to draw comparisons to the recent Oscar-winning Freddie Mercury and Queen biopic Bohemian Rhapsody. Not only do the two films share a behind-the-scenes connection, as Dexter Fletcher is also the man who took over Bohemian Rhapsody‘s direction after Bryan Singer was fired, but both tell the stories behind two of rock music’s queer icons. Also like Rhapsody, as Fletcher referenced in his letter read by Egerton, Rocketman takes creative license with history, though in this case those instances have been with Elton John’s blessing. Many film reviews (including our own) took umbrage with Rhapsody‘s playing “fast and loose” with the facts; how much of John’s actual story has been altered to create a more interesting storyline in Rocketman is yet to be seen. And unlike Bohemian Rhapsody, the tone of Rocketman is a surreal one. Meshing the typical biopic with the hallucinatory aura of the 1960s and ’70s and the fantastic anything-goes possibilities of a music video, viewers see the life story of Elton John told in a way atypical to any biopic before it. LGBTQ audiences are bound to enjoy this latest entry in the pantheon of true-to-life queer stories. 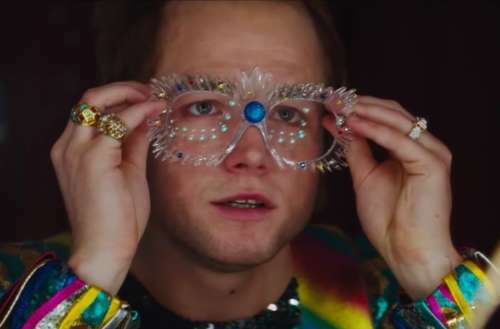 The Elton John movie Rocketman is in theaters on May 31.